I stumbled across Bunnies for Bugembe this morning and I'm so excited to share it with you all! For some odd reason, I have been looking for a stuffed bunny for the baby for some time now. Not sure why a bunny but now my search is OVER! 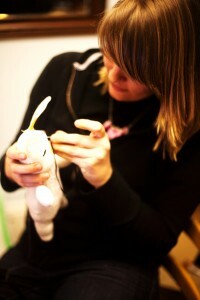 Bunnies for Bugembe was created by Chalice, a 20 year old who is raising funds for a trip she is taking to Uganda in August. She will be working alongside Ekisa Ministries, a beautiful organization that cares for disabled, orphaned, and special needs children. 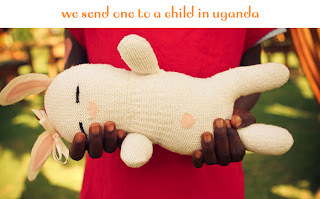 Each bunny you buy, a twin bunny will be made which will then be hand delivered to a child in need over in Uganda. Can you just imagine the joy that one of these children will feel when they are given their very own stuffed bunny? I can just imagine it now! 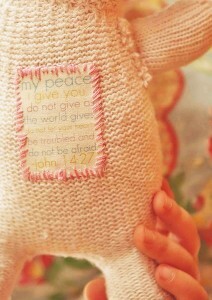 I love that each bunny has this scripture sewn on the back for a sweet reminder that God is always with them. Consider supporting Chalice and her ministry by showing children they're loved two at a time. I am so excited for my bunny to come- that is when I decide on what color to get- this is when I wish we were finding out this little one's gender! AGHHH I NEED THAT BUNNY! 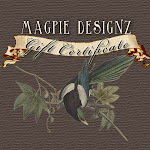 So cute...shoot, why can't you share things like that so good friends of yours can buy them for you!! !